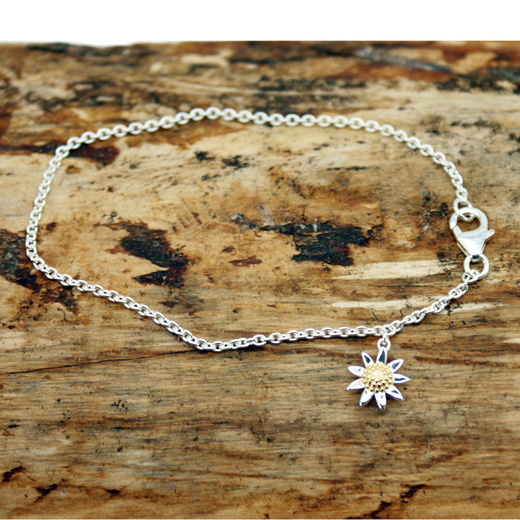 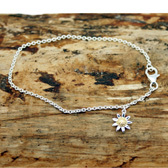 A beautiful single drop daisy bracelet from RP Designs. 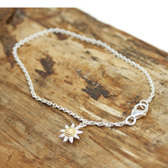 This lovely bracelet has a single drop daisy made of sterling stilver and gold plate on a 19cm / 7.5 inch sterling silver chain with a lobster clasp fastening. 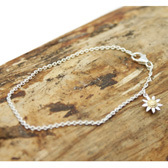 A truly lovely bracelet that is suitable for day or evening wear and would make a lovely gift.